Traffic control bollards create physical and visual barriers that direct vehicles. Posts prevent access to off-limits areas, separate lanes or directions of traffic, and line roadways, while also allowing pedestrians to pass unimpeded. 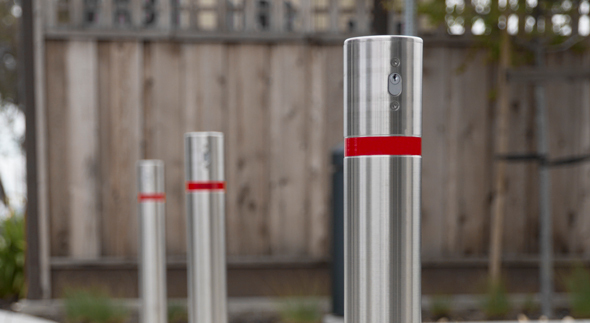 Bollards can also complement signage and other traffic management strategies. Reliance Foundry’s traffic bollards are available in safety yellow, red, and other standard color options. 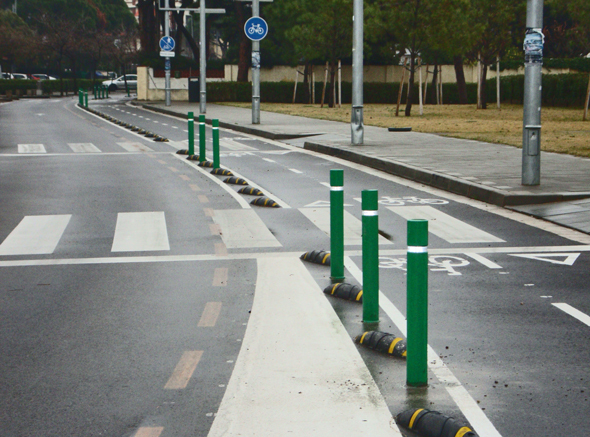 Read more about traffic bollards. Traffic management is necessary for areas with high amounts of both vehicle and pedestrian traffic, especially in high-use, crash-sensitive areas. 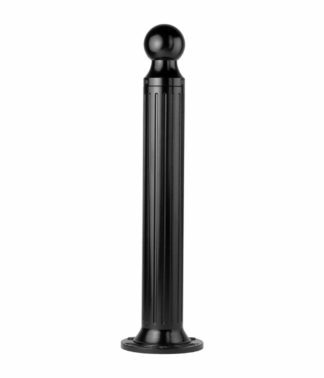 Bollards can be installed around streets, parking lots, parks, hospitals, hotels, school campuses, and more. 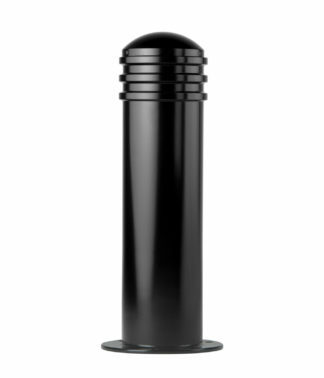 Bollards for traffic control complement many traffic calming strategies to increase pedestrian and neighborhood safety. 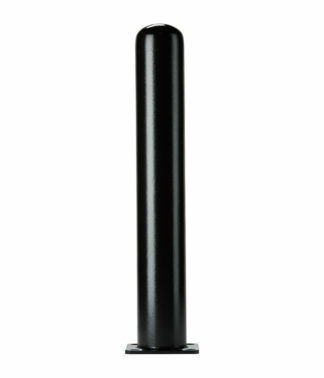 These strategies encourage slower, more attentive driving from motorists by creating a more varied and stimulating road. 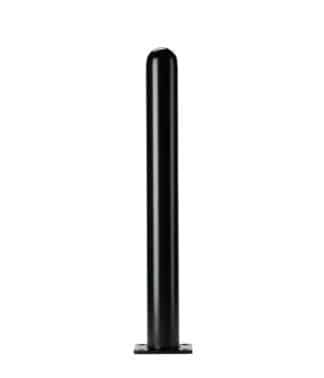 Traffic posts can divide vehicle directions, separate car traffic from bike lanes, and reinforce road markings and deflections. Flexible bollards minimize vehicle damage in case of collision. While basic traffic cones are easily moved or damaged, flexible traffic posts are embedded into the ground and designed to repeatedly bend up to 90 degrees without permanent deformation, making them ideal for use in high-traffic environments for extended periods of time. 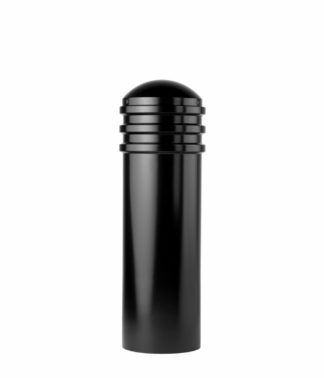 Traffic bollards are made from high-quality materials to ensure long-term use with low maintenance. Various styles, from simple to ornate, are available to suit any public or private outdoor environment. Custom colors to increase visibility are also available for most traffic bollards.